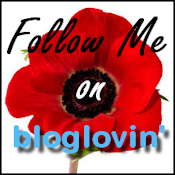 I love steak, yes I do! That’s the only thing that’s keeping me from being a full on vegetarian. Alas, steak always gets in the way. I love it covered, smothered, sliced, diced or just plain in all it’s glory. I had to laugh when the doctor told me my iron was low because it was not for lack of red meat! 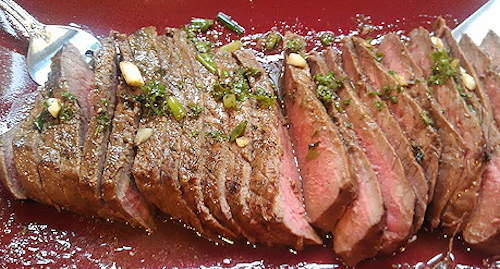 London Broil is one of my favorite cuts as it is so versatile. You can cut this for dinner, or for sandwiches and use it in tacos. You name it, this cut can do it. 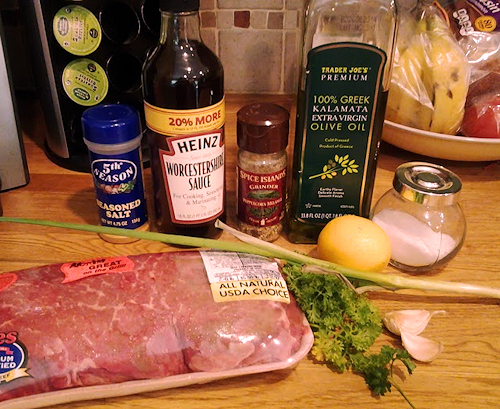 Tonight, I used a marinade and my chimichurri sauce. This sauce took it over the top but the marinade was spot on so fire up the grill! 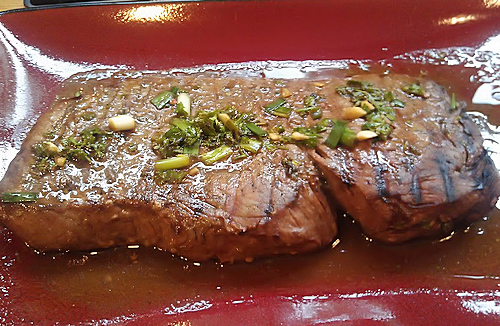 One nice size London Broil *this marinade will accommodate any size you want. 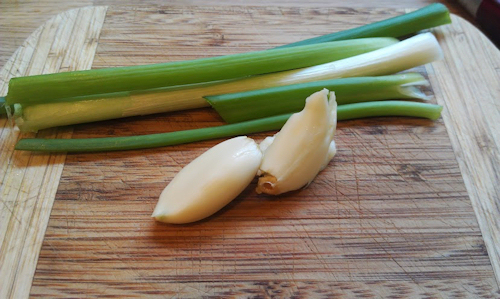 Fist dice and chop the garlic, onions and parsley. 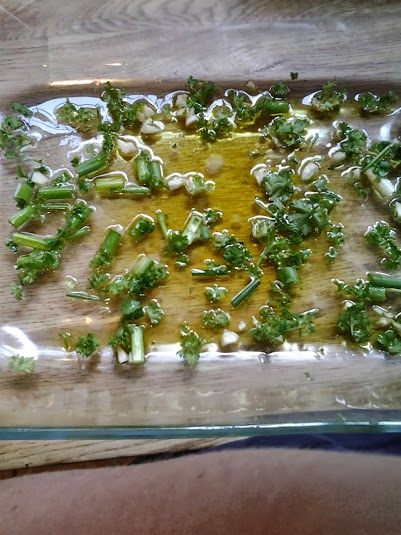 In a 9×13 baking dish, add your wet ingredients with the parsley, garlic and onion. Take your meat and drop it right into the dish. Turn it over once and add 1/2 of your dry seasoning on one side. Turn over and sprinkle the other half of the dry seasoning. 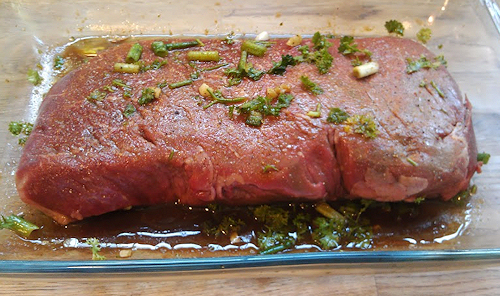 Cover and let sit for 1-2 hours in the marinade, turning at the 1/2 way point. I always let the meat sit for 10 min covered on the grill low heat then I turn and from there decide on the temp I want. 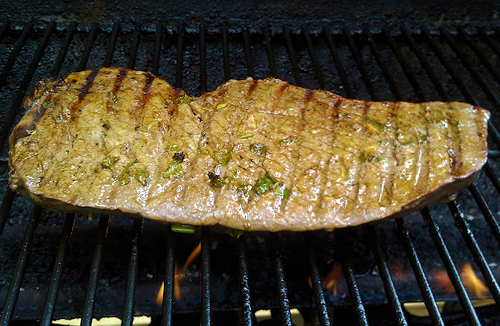 With London Broil you are hard pressed to find a small cut right out of the grocery store. When you are done, take it out and let it sit for no less than 10min. This redistributes all the juices back into the meat. After you’ve done that, you can slice your meat. I like nice thin and even slices. 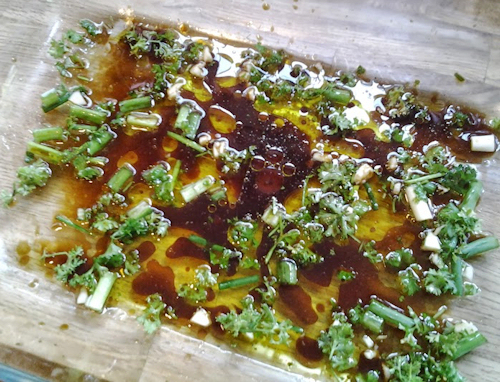 The marinade is stunning. It had a smoky flavor from the Worcestershire. 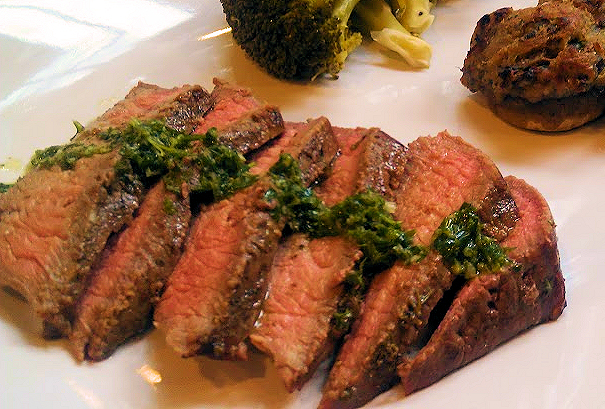 The lemon juice tenderizes the meat and give it freshness with the parsley. It is always my go-to for steaks. It made for the perfect meal, but what steak doesn’t? 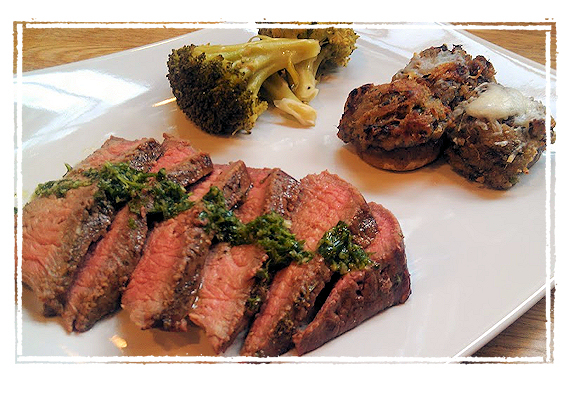 We enjoyed this with my chimichuri sauce and stuffed mushrooms.